As the volume of well data increases, the collection, storage and management of that data becomes ever more burdensome. DataServer alleviates these pressure points by providing a unified solution that automates the collection of, centrally stores and enables secure access to the data locally, or across the globe. DataServer is used to automatically import and fully manage all types of well data including optical path, DxS, log and point. 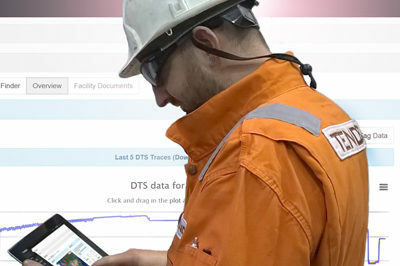 In addition, the system can store non-measurement data and documents such as field images, reports and production logs allowing all related information to reside in one location and tied to the associated well and fibre. Both single-well, single-fibre and multi-well, single-fibre installations are supported. An integrated rules-based engine and pre-processor ensure that only valid data is imported and assigned to the appropriate fibre. A web-based user interface enables quick visualization and management of data from anywhere in the world on both desktop and mobile devices, and allows seamless integration to modelling tools such as FloQuest.